What makes him a Rebbe? it is incumbent upon us to say that these parents are guilty. They caused the deaths of their sons and they must do teshuva for their actions. The words of the Kiryas Joel Satmar Rebbe, Aron Teitelbaum. Wow. I am actually having a hard time wrapping my head that. I’ve read it over and over trying to understand it as something I’d expect to hear from a Grand Rebbe. As something I’d expect a leader of tens of thousands to say. I read it fast. I read it slow. Still, nothing. I can’t find the secret meaning. I can’t find the alternate ending. Trust me, I tried. I wish I had, for the sake of the Satmar Rebbe. I wish I had for the sake of the Jewish people. But most importantly, I wish I had for the consolation of the Frenkels, the Yifrachs and the Shaars. The Satmar Rebbe is viewed as a great sage. A respected leader. A revered Rebbe. Someone you’d expect to turn to for a source of inspiration and Ahavas Yisroel. Someone you’d hope to draw strong leadership from during trying times. Yet, just days after coming together to pray for, to hope for and ultimately, to bury #EyalGiladNaftali, he pours salt on the wound of the Jewish people – during the Shiva period when it is one of the biggest Mitzvot to console. In our beautiful tradition, this is what helps us move on, start again, build toward the future. For Jewish people, since Moses (formally), or even as far back as Abraham (informally) we’ve been a nation of leaders and followers. Those who successfully channelled inspiration and godliness were sought after for advice and wisdom. That still holds true today. In recent years – or more accurately, the last few hundred years – this has taken on a new meaning. The development of Hassidic camps gave leaders more ‘power’ and large followings. Even within camps that stood against Hasidism, leaders were born and people flocked in. Jewish people were thirsty for meaning, striving for something bigger. Inspiration was delivered that much of world Jewry still feeds off of today. It was the development of godly men who in turn connected with their followers, teaching new ideas and discovering new biblical secrets. But more importantly, they reached across the aisle at times praying for, celebrating with and learning from those who were not in their communities. They strived to be together. That is what’a expected of Jewish leaders! Leaders must be held to a certain standard. Just as Moses was denied entry to Israel for a seemingly small ‘mistake’, so to the leaders of today must be held accountable. The Satmar “Rebbe” may not agree with living in Gush Etzion, nor the State of Israel, but how dare he blame innocent parents for the barbaric murders of their sons at the hands of terror? How dare he, as a leader of so many thousands of Jewish people!? Do you know the difference between a Rabbi and a Rebbe? ‘Rabbi’ is a title. ‘Rebbe’ is a leader. Leaders build bridges and pave the road to a peaceful, better future. 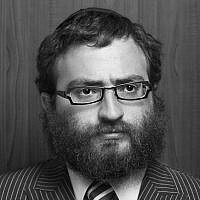 Rebbes care for all people, even if they disagree. If he doesn’t, what makes him a Rebbe? If he doesn’t, what makes him a leader?